The Center for Global Affairs held its 4th Annual U.S. Army War College International Strategic Crisis Negotiation Exercise. 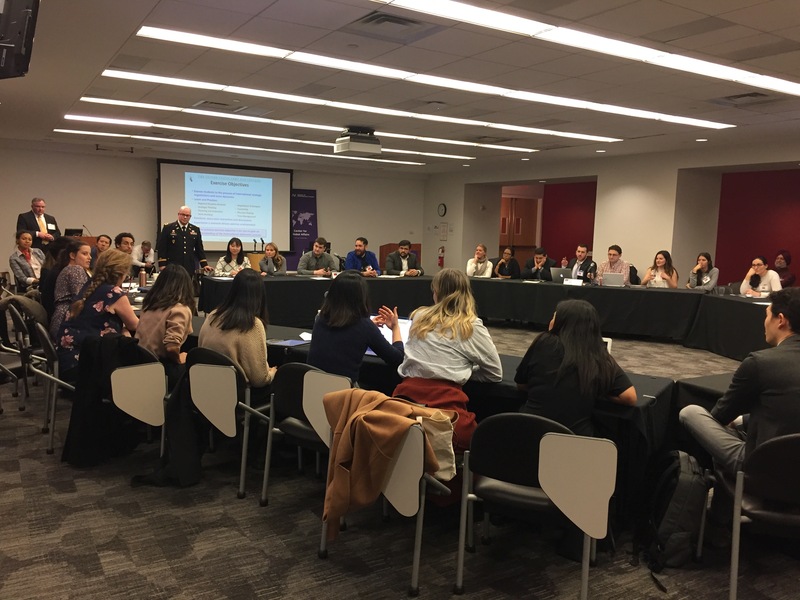 Nearly 40 New York City area Masters students participated in the exercise, which simulated Six Party Talks over a nuclear crisis on the Korean Peninsula. Professor Mary Beth Altier oversaw the running of the exercise with the War College and Professors Jens Rudbeck, W.P.S. Sidhu, Earl Carr, Barbara Borst, Burden Hickok, Edward Goldberg, and Chris Ankersen served as team mentors. 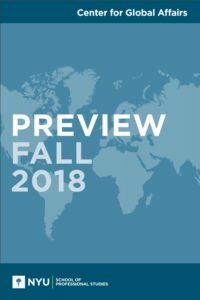 Professor Mary Beth Altier was quoted in an article in the Minneapolis Star Tribune entitled “Launched after Minnesota court cases, first U.S. deradicalization program shows promise” on the possibility and effectiveness of current efforts to “de-radicalize” terrorist offenders in the United States. On February 8, Professor Jennifer Trahan delivered a lecture on “The International Criminal Court’s Crime of Aggression” at Columbia Law School, to the Columbia Law School International Criminal Law Symposium, including students from Amsterdam participating in a joint degree program. She was delighted to be introduced by her former teacher and mentor at Columbia Law School, Lori F. Damrosch.